Skyline are pleased to offer for rent this well appointed first floor apartment. The property benefits from a spacious lounge with juliet balcony, modern fitted kitchen, two bedrooms with master en-suite, and bathroom with white suite. The property benefits from gas fired central heating. Outside there is allocated off street parking. The convenient location offers walking distance access to Newtownards town centre and easy communting access to Belfast. Available immediately, part furnished, early viewing is strongly recommended. 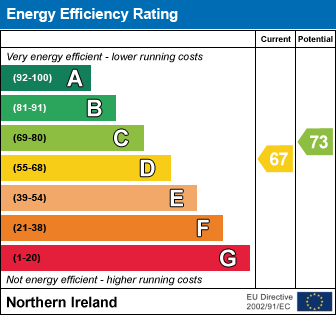 I am interested in 8 Corry Street, Newtownards. Please contact me about this property.